This post is a bit overdue, but I wanted to give you guys a quick recap of the book release party. It was amazing! 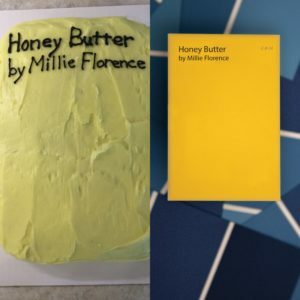 The night before the party, my mom and I made a cake that looked like the paint card on the cover of my book. The afternoon of the book signing, we pulled all the snacks and supplies together, got everyone into the car, and drove to King City Books. We did a little setting up, and then people started coming. The rest of the evening passed in a flash. At least thirty people showed up! And honestly, I can not thank them enough, the support was amazing! 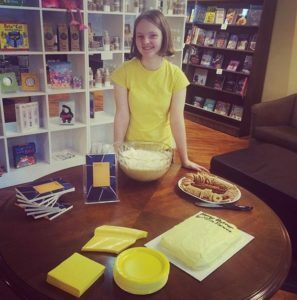 My mom and I were worried we would run out of cake, but actually, we ran out of books! We sold out of Honey Butter copies about halfway through the event. It’s fun, and kind of weird, to sign your books for people. I practiced my signature a lot before the event. Fall is almost here. Leaves change color, the air cools. It’s the season for apples and pumpkins and soup and baked things. I think my next book might take place in fall. I’ve started working on it recently, and it’s very refreshing to start something new. I love Honey Butter; it’s a sweet story and will always be important to me, but I’m a fantasy writer at heart. I’m ready to write about magic and forests and adventure. I haven’t been working too seriously or with a goal in mind, on my next book, but I have been writing it, and that’s always a step in the right direction. 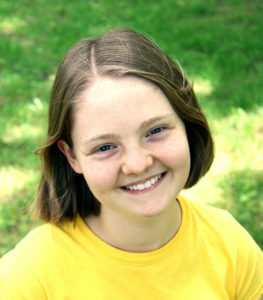 Millie Florence is an adventurous homeschooler who published her first book, ‘Honey Butter’, at age 13. She loves sushi, zip lines, and just about all things yellow.